School pupils quizzed MP Grant Shapps over a range of issues – including graffiti and community safety. He had been invited to Hatfield Community Free School on Briars Lane by the Year 5 class. The aim was to help the students with a project in which they will be documenting and discussing the ways Hatfield has changed over recent years. As well as covering a range of local issues, the pupils were also curious to know what MPs do, and what role they play in government and society. Mr Shapps said the pupils showed a “collective knowledge of Hatfield and the things it is famous for”. He was particularly impressed at their awareness of Hatfield being the birthplace of the jet engine. “It was wonderful to speak to such an enthusiastic and knowledgeable group of students,” he said. 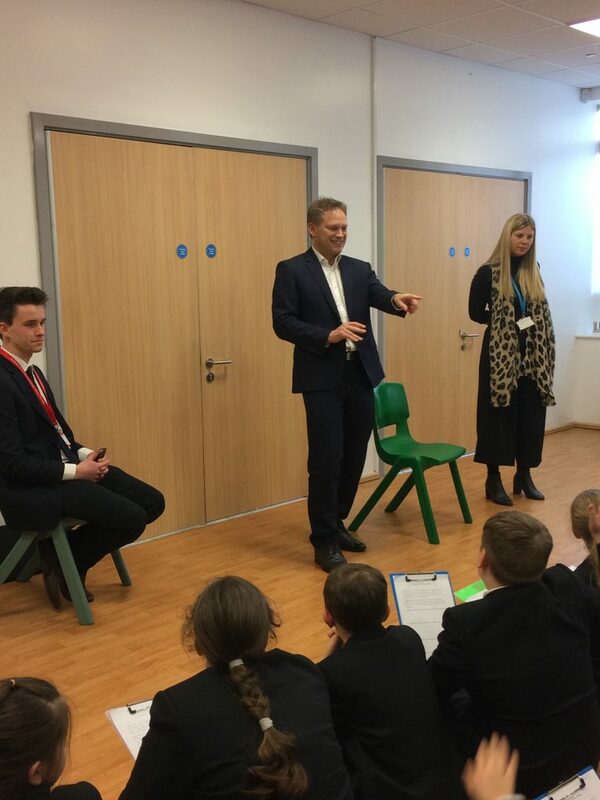 Thanking the MP for his help with the project, Year 5 teacher Mrs Sian Williams said: “The class and I really enjoyed hearing from Mr Shapps about his perspective of Welwyn Hatfield, and what it is like to be an MP.